2012 – Launch of WGS-4, (Wideband Global SATCOM system) American high capacity satellite communications system. 2011 – Launch of SA-224, also known as NRO Launch 49 (NRO L-49), American reconnaissance satellite. 2011 – Launch of Elektro-L No.1, also known as Geostationary Operational Meteorological Satellite No.2 or GOMS No.2, Russian geostationary weather satellite. 2011 – A Ecuadorian Air Force De Havilland Canada DHC-6 Twin Otter FAE449 crashes near Tena, Ecuador, killing all six on board. 2009 – Two Spanish Air Force Dassault Mirage F1s on a training flight, collide in midair. 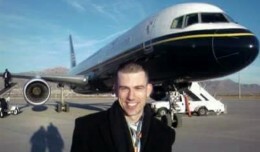 The three pilots are found dead in the debris of the aircraft. 2007 – A US AH-64 Apache helicopter crashes near Najaf, Iraq. One soldier is killed. 1997 – A new balloon absolute distance record of 16,722 km (10,363 miles) is set by Steve Fossett, during his unsuccessful non-stop, round the world flight, which he is forced to abandon in India. 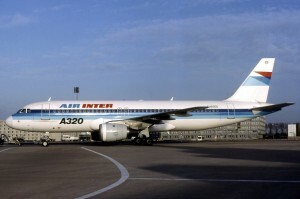 The very aircraft involved in the Air Inter Flight 148 Crash. 1992 – Air Inter Flight 148, an Airbus A320, crashes in the Vosges Mountains on approach to Strasbourg, France, killing 87 of the 96 people on board. The A320 hit the mountains at an elevation of 2,600ft for multiple reasons, including flying at a high rate of speed for a low altitude, not being equipped with a Ground Proximity Warning System and the pilot accidentally setting the autopilot to a 3,300ft per minute descent rate, thinking he was actually setting a 3.3 degree descent rate. 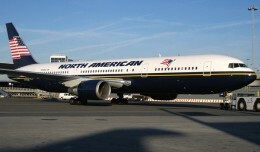 1990 – Charter airline North American Airlines begins operations providing feeder service for El Al Israeli Airlines in the United States. 1977 – AA USCG Sikorsky HH-52A Seaguard, 1448, strikes three electrical transmission wires and crashes into the ice-filled Illinois River. The crew had been performing an aerial ice patrol along the Illinois and Mississippi Rivers. 1974 – First ‘accidental’ flight of a General Dynamics F-16 Fighting Falcon takes place during a high-speed taxi test. While gathering speed, a roll-control oscillation caused a fin of the port-side wingtip-mounted missile and then the starboard stabilator to scrape the ground, and the aircraft then began to veer off the runway. The test pilot, Phil Oestricher, decided to lift off to avoid crashing the machine, and safely landed it six minutes later. 1971 – McDonnell Douglas RF-4E Phantom II enters service with Luftwaffe. 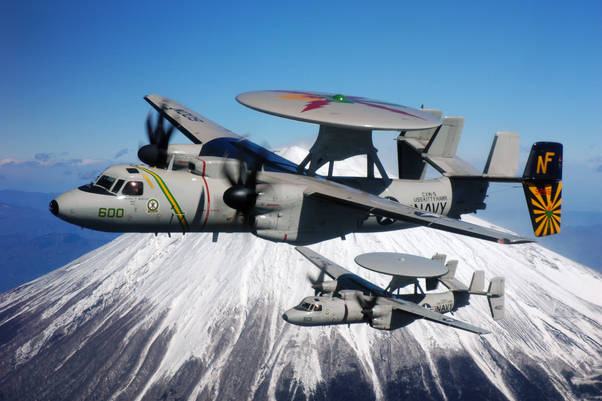 1971 – First flight of the Northrop Grumman E-2C Hawkeye, an American all-weather, aircraft carrier-capable tactical airborne early warning (AEW) aircraft, an evolution of the E-2A and E-2B. 1959 – First flight of the Vickers Vanguard, a turboprop airliner of which only 44 were made. 1948 – Birth of Jerry Lynn Ross, USAF pilot and NASA astronaut. 1943 – A RCAF Wellington Bomber (BR 432) from 429 Squadron, stationed at East-Moor, UK, goes down in the Zuiderzee, a shallow bay of the North Sea near the Netherlands. Wreckage was recovered 29 years later in May 1972. 1941 – The Brazilian Air Force is created by the amalgamation of the Brazilian Army and Brazilian Navy air arms. 1941 – Death of Frederick Erastus Humphreys, American aviator, one of the original three military pilots trained by the Wright brothers and the first to fly solo. 1940 – The Brazilian Air Force, originally founded in 1908 as the Brazilian Army Balloon Corp, adopts its current title, Fôrça Aeréa Brasileira. 1940 – First flight of the Arsenal VG-34, a French light fighter aircraft prototype developed from the VG-33. 1938 – First flight of the Latécoère 523, a 6 engine high wing monoplane reconnaissance Flying Boat for the French Navy, Based on the 521,and a variant of the 522. Whoda thunk it? 1934 – First flight of the Boeing P-29 (originated as the Model 264) takes place. The US Fighter prototype was equipped with fully-cantilever wings, wing flaps, enclosed “greenhouse” canopy, and retractable undercarriage. 1933 – The sole prototype Consolidated XA-11 attack plane, 32-322, crashes due to structural failure, killing Lieut. Irvin A. Woodring. 1930 – Edwin Eugene “Buzz” Aldrin, Jr., American pilot and astronaut, is born. Aldrin was the Lunar Module Pilot on Apollo 11, the first lunar landing. He was the second person to have set foot on the Moon, after Mission Commander Neil Armstrong. 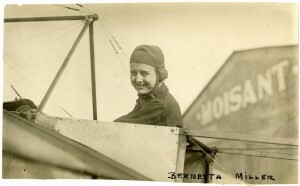 1913 – Attempting to establish a new women’s altitude record, Bernetta Miller is covered with oil and temporarily blinded when her oil flow indicator smashes. She makes a safe emergency landing from where she took off, the Garden City Aerodrome, also known at Roosevelt Field, in Long Island, New York. 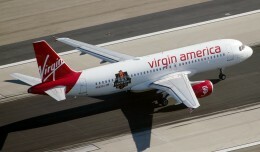 With so many reactions being aired following Alaska Announcing the coming end of Virgin America, who stands to suffer the most? North American Airlines has announced plans to attempt to keep two aircraft flying, even as parent company Global Aviation Holdings is liquidated. 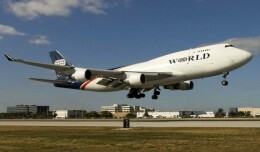 Following on the heels of competitor Evergreen International Airlines, World Airways CEO John Graber announced earlier today that World will cease operations immediately. 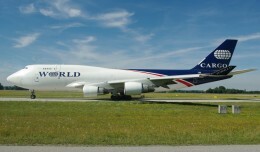 ￼Citing a global decline in demand for its chartered cargo and passenger transport services, NYC Aviation has learned Georgia-based Global Aviation Holdings tonight filed for Chapter 7 bankruptcy protection. I remember NAA’s birth. In June of ’90 NAA and El AL staff were invited to fly down to celebrate in Eleuthera for the day. So much fun.